Alp cheese is a specific category of cheeses made exclusively with milk from cows, goats, or sheep that graze on Alpine pastures during the summer months, and can only be certified as Alp cheese when both the milk production and cheese making take place on the mountain slopes. Until the 18th century, hard cheeses in Switzerland were only produced in the summer in the Alps, since animals' milk supplies would generally dry up during the winter, and what little milk they did produce was used fresh. This changed in the early 19th century, when farmers in the valleys began feeding their stock hay, ensuring milk supplies even during the winter months. Today, cheese made year-round in the mountain valleys is known as mountain cheese, as opposed to the more prestigious and seasonal Alp cheese. Husbandry (primarily of cows, but also sheep and goats) and cheese making are an intrinsic part of Alpine culture in Switzerland, celebrated with a number of annual festivals. Each spring, when cows or other stock are moved from the valleys up the mountain slopes to pasture where they will stay through the summer, a number of Cantons like Valais, Appenzell, and Fribourg celebrate what the French call the poya or inalpe and the Germans call the Alpzug, during which animals are decked out with flowers entwined in their horns and led in procession up the ascent. In Valais, the cow procession is led by the “queen”; the local Hérens breed have an innate sense of herd hierarchy and animals tussle for the alpha role, leading the others and claiming the best pasture. During the spring leading up to the poya or Alpzug, organised matches between bovine contenders are also held in towns around the Canton, attracting thousands of spectators. While the cows pasture on the mountain slopes, they are watched by armailli (in French) or Senn (in German), who move the herd slowly up the mountain as the summer progresses while milking them twice a day and making cheese from the milk in specially built mountain huts–many of which have been converted into holiday chalets over the past few decades. Once the herd has grazed the highest meadow, they make their way back down the mountainside, arriving in the valley by the end of September. 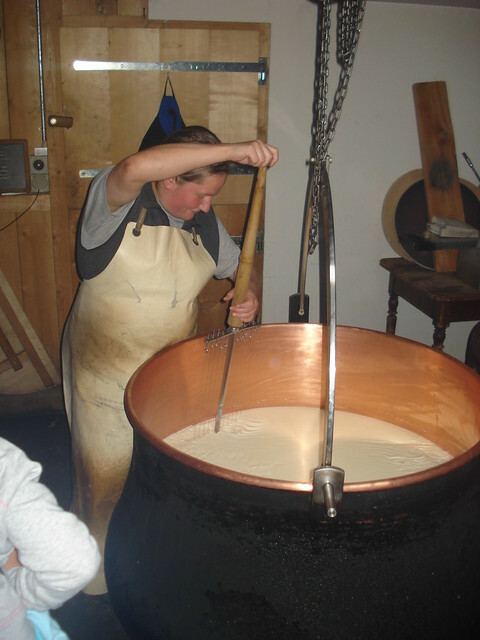 The summer pasture season ends with more festivities, particularly famous in the canton of Bern: the Chästeilet, during which the wheels of Alp cheeses produced on the mountain slopes are distributed among the owners of the herds in lots divided in proportion to the milk each herd of cows produced during the summer. Wheels of cheese are piled high as farmers' numbers are called out to claim each lot, locals dress in traditional costume, and decorated cows are led back down to the valley for the winter accompanied by music and celebration. What makes Alp Cheese special? The delicious secret to Alp cheese is location, location, location. During the summer months, cows are left to graze freely on the lush Alpine pastures, home to hundreds of different wild grasses and herbs, as opposed to only a few dozen that grow in the valleys. This nutritional diversity, the freedom of movement, and the pristine mountain water results in a particularly flavorful and rich raw milk. This fragrant milk is immediately made into cheese while still at body temperature, without having to be preserved and transported, and one of the many tiny artisan dairies that dot the mountainsides. There, the raw milk is processed by hand in a chessi (a large cheese cauldron) over a wood fire, and smoke from the fire, local and heirloom herbs, and individual production methods determine the final outcome, resulting in flavors, colors, shapes, and textures that are uniquely complex and almost impossible to replicate without the alchemy of Alpine pasture and production. 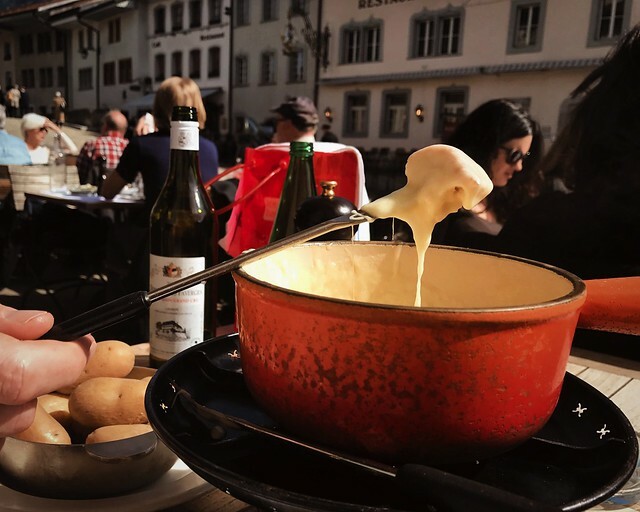 There are a number of ways to discover and sample Alp cheese while in Switzerland, in addition to attending local festivals marking the beginning and end of the summer pasture. 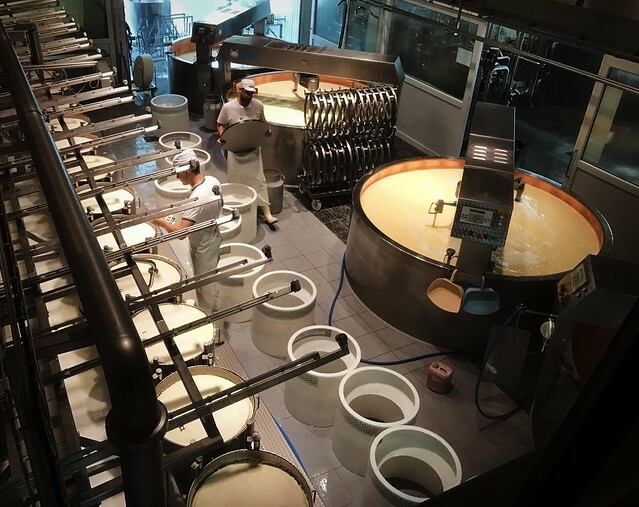 Many Alpine dairies are open to visitors, and you can watch the cheese makers at work and even lend a hand yourself (under their expert and precise guidance). You can also stop at a cheese cellar, where the hundreds of cheeses made each season are carefully stored before being distributed, for a tasting and tour. If you'd like to purchase Alp cheese, you have to time your trip right. Alp cheese is seasonal, with a short production period and a number of different aging processes, so not every type is available everywhere. Your best bet is to head to the Alpine Cantons in the late summer and look in specialty cheese shops or directly from the Alpine dairies. You can also stop by one of the regional cheese competitions held at the end of the Alpine season, when local producers compete to have their cheese named the year's best. These competitions are often held during a larger harvest festival or Alp cheese market, where you can buy cheeses directly from the producers. 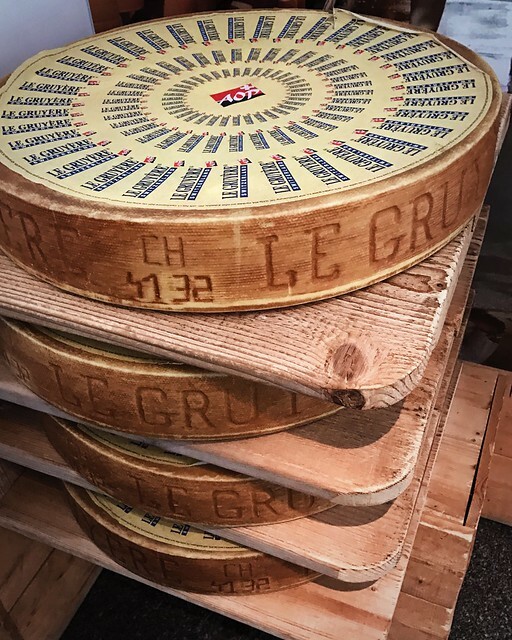 There are dozens of varieties of Alp cheeses, all one-of-a-kind and made with the care and attention that Swiss farmers have been dedicating to their prized wheels for 300 years. A few, however, have been certified as AOP, guaranteeing a certain quality and origin. Be sure to search these out if you're looking to taste the crème de la crème of Swiss cheese.